It was great to be back home – I missed my kids the most (the Big Boss had a tough time going to school knowing that I was coming back in the afternoon) and my car the next (haha, don’t worry, my wife understands me). And whilst I was away, my son have been busy – very busy indeed. I am not sure what prompted him but he has been checking out bicycles at the hypermarkets. He did that some months ago but he was not pressing for a purchase back then. When he was small, we bought for him a 3-wheeler but he soon got bored with it. We decided to hold back from buying another bicycle until he has grown up to ride a proper bicycle and not another 3 wheeler (that is for babies, he once remarked). Lately he has been bringing up the subject on bicycles again – he got to know some of his classmates come to school on bicycle and that seemed to captivate him. He too has been toying on the idea of able to go to school on a bicycle – he said we can save on school bus fees but I think he knows that will not fly with us. There are too many junctions and heavy traffic between the house and the school for us to risk him with a bicycle (unless the school was next door to the house, of course). And we have seen him looking in envy at the kids with bicycle at the playground. The writing is on the wall for us to get him a bicycle – we just have been delaying this until we see him outperforming his “peers” in school (and from we saw and heard so far, he seems to be on the right track). My wife told me that he has even identified the exact bicycle that he wanted me to buy once I am back. And speaking about bicycles, do you still remember your very first bicycle? I don’t recall when I started to ride a bicycle on 2 wheels (instead of a 3 wheeler) – probably at my grandma’s house where there always a couple of old big bicycles laying around for us kids to practice (still remember those with steel brakes?) and where no one says “no” to any kids. But what I can recall was that I was able to ride on 2 wheels by Standard 4. We did not have bicycles at home so any chance of riding them was at my grandma’s house. There was also the place where I ride my first racing bicycle although I was too small to ride comfortably (I kept thinking I was going to fall over) – the change of speed gears was fascinating though. Then one day when I was in Standard 5 (or so), my neighbour (lovely family from Sarawak) came over and asked if they can take me and my siblings for Christmas Open House at one of their relatives’ house. And there is where I saw it for the first time – a BMX bicycle. It was small, agile and it simply looked great. I saw some kids riding it and since we were kind of “out of place” in the crowd, I was only able to see it from far or so I thought. When one of the aunties, after seeing me sitting down bored at the living room, remarked to one of the kids that they should “invite” me to play along, I got closer to it and was happy when they handed me the bicycle to take it for a round. I was in heaven when I took hold of the bicycle and took it for a spin. We took turn riding it and I managed to put in another few rounds in it. Santa must have understood my wish back then. When I got back, I mentioned that to my Dad but he only kept silent – a BMX bicycle was a luxury item back then. In a time when we had to rely on public bus, trains and my uncle’s car to move around, a bicycle was the last thing we need to strain our expenses. But not all was lost when we shifted house to another apartment block and we had one of the friendliest neighbour – a Chinese family and soon, 2 of the teenagers in the family (they were pretty much older than me) became more like big brothers to me. And one of them had a BMX bicycle. I did not dare to ask the brother for his bicycle – if anything happens to it, I don’t want to put any strain my Dad to pay for the damages. But the brother noticed this one day and asked if I wanted to take it for a ride. At first, I politely declined but he insisted (and soon his father who was inside the house asked me not to be shy and go ahead to take the bicycle for a ride). I took it for a ride and it was very smooth – I hardly hear any noise from the bicycle chain & sprockets. The brother had greased the chains too well and it shows in the ride. I just took it for a ride around the neighbourhood and was worried if I had took it for too long – my parents would disapprove of this. When I returned, the brother was inside the house and when I called him, he looked surprised. He expected me to take another few rounds and returned it only when I had enough. He mentioned this to me and told me that I can take the bicycle for a ride at any time – he was getting too big for the bicycle and he hardly use it (his Dad got him a motorcycle for his commute to school). And if no one was using it, it will only collect dust. And soon I was using it when I had to go to the shops (which was about 1.5 km away) to buy things for my Mom and at the same time, taking the BMX for a longer ride. Riding fast on a BMX was definitely better than walking to the shops. Although I was happy to be able to ride a BMX whenever I need, I was still apprehensive and shy of asking my neighbour to use the bicycle. At end of the day, it was not my bicycle. Further since my younger brother was also hooked to the BMX, we were worried that we may be using too much of a something that we did not owe. And my Dad knew about it but he kept his silent. But when I got top marks for my final year exams, something happened. Not known to me, my Dad has been making plans to buy a BMX bicycle for us (well, it is actually for me but my brother got his chance on it too – when I allowed him). So on one fine weekend, my Dad came back home early and said that I need to follow him to buy something. Thinking that he is asking my help to carry some of the house sundry items (as how he often do when he gets his monthly salary), I was all up and ready to go after he had taken his shower. We walked but in the wrong direction of the sundry shop – clearly we were going to buy something different. I kept quiet as we walked – my Dad did not give any clue of what he was intending to buy and why I need to follow him. Things got a lot clear when we reached the bicycle shop. We walked in and my Dad asked me to pick the colour (and the model) of the BMX bicycle and it will be all mine. It took me a moment to realise what was happening but then realised he was buying one for me (I later found out that my Dad had made arrangement with the bicycle shop owner to pay in instalments for the bicycle). Finally I had my own BMX bicycle – it was maroon in colour and all shiny. And it remained in the “family” for the next few years until I started to lose interest on cycling and was more interested on motorcycling which was more high-powered and more expensive (where once again, I learned at my grandma’s house using my uncles’ bikes). And now, it is my son’s turn to experience what I have gone through and I am very sure he is going to enjoy it. I was watching TV a couple nights ago when my wife asked me to “update” her MP3 files in her thumb drive. She heard her favorite song on my car MP3 player and she wanted the same for her car. My son interjected and asked for a specific song from one of the latest Tamil movies. I was kind of speechless – it is kind of interesting how we have moved from radio station only to cassette to CDs to MP3 files these days. Do you still remember the good old days when you had none of this and you had the good old radio (and that too with a handful of channels available)? I still remember the old radio in one of my relative’s house and I still remember that it was still working and I still remember that there was no cassette player in that old radio. The radio in my grandma’s house was a bit more sophisticated. It only had one cassette player which also came with a radio receiver and something new called “Dolby NR” and it had several dials for bass, treble and balance. For some kids like us, it was akin to driving a space ship. It had huge speakers and for long, it is only used when my uncles were around – it looked too complicated at first but soon we get to know how to work the player, we often use it to listen to music or the news on the radio. And when we know that it can also record music from the radio, we hunted for old cassettes which were lying in the store-room and inside some of the drawers. We did not know back then but we did override a good number of ever-green and classical Tamil songs. It something we regret of doing now but back then, we did not have cash to buy new empty cassettes and seeing all that cassettes collecting dust in the storeroom and lockers, we decided to reuse them to record songs from the radio. Thankfully, none of it belonged to my uncles’ favorite collection, otherwise we would have been skinned alive. Back then, we did not have THR Raaga or 20 plus radio stations but we had Radio FM Stereo (in addition to the sole Tamil radio channel) and in particular, it’s “Pilihan Bersama” radio program (still remember it?). It was my favorite because you get the best songs here and in FM stereo too (a rather new piece of technology back then). I recall recording the songs on the same cassettes several times over several nights – not all songs were played in complete and marking initial “BRC” on the cover to mark those cassettes that I have recorded. That is when I am at grandma’s house. Back at home we only had a small cheap radio transistor which came with one cassette player (which we did not use much because we did not enough cassettes and also because the recordings was bad) and with one speaker. But since we listened to the radio more, the cassette player was rarely used. That radio stayed with us for a couple of years until one day it simply went broke. It was time for another radio and by now, CD players were making the headlines and I knew that I had convinced my Dad to buy one with a CD player if he decides to replace the broken radio with a newer one. I was away when my Dad went with my brother to buy a new radio so it was not a big surprise when they came back with a model that did not come with any CD player. Damn! That was my initial reaction – I guess our first encounter with a CD player had to wait for now (CDs back then were too expensive anyway). But the new radio – a Panasonic came with 2 cassette players (which meant I can copy cassette from another with ease), equalizers, a whole load of automation and good 4 speakers. We really handled the radio with great care – it was new and we knew that my Dad paid for it in installments and with a hole in his pockets. In between, we were introduced to something called Walkman – at first, by borrowing from well-to-do relatives and later, by collecting money to buy one our own, I bought one – my first portable radio many years later. It was an Aiwa brand and it was good and was helpful when I was doing my studies at home. My brother found a broken radio, took out it from the shell, found an old speaker and managed to get it work and we often hear it late at night – in particular Casey Kasem’s American’s Top 40 and another (I can’t recall the name) where the DJ reads listeners’ problems and then provide the relevant advises. One fine day, we got a call from our uncle – he said he had something for us and will be dropping by to pass it to us. It was a radio but there was a built-in CD player. Apparently his friend was moving out and decided to pass his radio to my uncle. My uncle who already had a radio on his own decided to pass it to us. We were excited and immediately hooked up the radio and tested the CD player (the funny thing was we tried to do that at first without any CDs – it was dumb of us). So, after inspecting the player for some time, we decided that we need to have a CD to test and see if it is working or not. We then decided to ride to Brickfields to the many of music shops to go and buy a CD. At the shop, we realised that we are buying our own first CD – a minor history in the making – we were finally moving from cassettes to CDs – from analogue to digital. Out of the many hundred CDs in the music shop, we hunted for the one CD that we want to buy and bring back to test the player. We found a CD that contains the evergreen from the 70s – it was not cheap (it cost RM15) but thankfully we brought enough to buy it. We bought the CD and eagerly rushed back home to play the CD on the new player. It started to play but it was not long before it went dead. A couple more experiments, cleaning of the lenses and even shifting the player to a different place but nothing worked. The player was busted and we had an expensive CD without a player to play it on. Sadly we went back to cassettes but were determined to buy a good CD player when time permits. That time came, in several years later when I started to work and slowly had enough to buy a proper player – Aiwa that had 3 CD decks and can even play VCDs. It was not long before we had mp3 files to share – at first to be burned into CD as audio file and then later without any conversion to be played on mp3 player or car player or laptops by simply sticking a thumb drive on the USD port. One thing we did not have in our “arsenal” all these year is a record player but I did encounter it only once and that too during a wedding. Someone had brought in the record player but did not have the right records but not for long. Someone dashed to his house and came back with a record which has a picture of a bald head on its cover. Still remember your very first neighbors or your old neighborhood? In the late 1970s – mid 1980s, we were living in a single storey, single bedroom rented house along Old Klang Road. The neighborhood was closely knitted one, mainly because we all shared electricity and water. The landlord paid for the water and electricity to the authorities and then charges us for the utilities in the rent (RM30 monthly but it was big money back then). We had to divide the time among ourselves when it comes to getting water for the house. The main pipe runs along one of the houses and we had to take turn changing the connecting pipe to our houses (my Dad put up 2 huge oil drums in the bathroom to store the water and a smaller plastic container in the kitchen for drinking water – no water filter of any kind). Disputes among our neighbors are very, very rare but I have seen some minor skirmishes when one of the neighbors bypasses others to get their turn of the water. Our house was part of a several houses connected long house style – so interaction with the neighbors was quite close. There was another row of units in front of us before the main road. Immediately to our left, the house was empty but we can see some suspicious characters staying in the house occasionally. My dad said that they were drug addicts but I never seen them coming in and out and despite being drug addicts, they always kept low profile and never disturb the neighbors (nothing got stolen the whole time we stayed here). Thereafter to the left, I don’t recall who the neighbor was but soon after that was a Chinese uncle who drives taxi for living. His wife was a housewife and they had about 3 – 4 quite rough, kids (I think so) – we used play badminton with them but they were too rough for us, the smaller kids. The last house to the left had different neighbors at different times. At one point, a Eurasian family was staying in the last house – I still recall their 2 pretty daughters (who I met again several years after we shifted out). Later an Indian couple stayed in that house – the aunty used to sell nasi lemak in the morning. We however did not interact that close with them. Somehow, we kept looking to the right for closer interactions. Immediately to our right, the house was occupied by workers who worked in a noodle factory (which happened to be at the front row houses). There was couple of them stayed there – working all day long and only coming in at night for shower and dinner. And after that, they will stand outside our window if we had the television on. And they don’t mind if we were watching classic Tamil movies – our television seems to be their only entertainment back then. Immediately after that, I don’t recall who the neighbors were but at a later point of time, an Indian family stayed there but we did not get along well with them. Thereafter was an Indian family who were we were quite close – the uncle was a barber (who had the shop on the other side of the main road and who is the one who cuts all the male’s hairs in the neighborhood. My dad was very close to him). The aunty (big sized lady) was a housewife and they had 4 kids – 2 boys and 2 girls (their house was unique – it had staircase to the attic where the boys slept). The 2 boys, who we call big brothers often, take care of us whenever we go out with them or when we were forced to do revisions. The eldest boy (his name was Mogan) was highly educated and later studied to be a lawyer. My dad often uses him as an example for us to excel in our examinations. The second boy (we call him Karna Anne) excelled more in sports (he was a good runner) – we often follow him to sports meets. He is also the one who take us to the National Palace during the open house for Hari Raya. He will come over to our house and talk to my parents on letting me and my siblings to follow him to the National Palace. My parents usually do not hesitate to give their approval when the request comes from Karna Anne (he is very responsible and know how to take all of us). The daughters (big sister Gomathi and another – the younger one, I can’t recall the name) were not that close to us, the boys but we join them in games in the evenings. At the very end, was another Indian family – the uncle had a small truck and the aunty was a housewife. Their kids – 1 boy (Babu) and 1 girl was quite close to us (in fact I was almost the same age with Babu and went to the same school but with different sessions). At the row, at the very right, the lot was used by a furniture shop owner to keep his old stock – the stock must have been very old, it was full of dust and rust and you can find huge lizards in it. Immediately next to it was a old uncle who was an electrician and his homely wife and their only son. Their house was quite unique as it was roomier and their front door is often left wide open. It looked fun too. They often leave the front door open for one good reason – there is a big menacing dog standing guard tied to side. Their neighbor is the noodle factory – another open area so we can see how they make the noodles. The noodle factory owner and this electrician would often get into big argument on condition of the drain in front of their premises. The electrician often claims that the left-over noodles often cause the drain to get clogged whilst the other party would claim that the dog’s waste is the main cause. At the very left, the house was much bigger – it was a double storey and it belonged to the grand lady of the area (the grandmother of the landlord). We don’t see her often but she did look very grand and elegant but hardly smiled. One of my uncles when got married, rented one of the rooms with his wife whilst they looked for a more permanent house, I got the chance to go into the house couple of time. It was clean but everything looks so 1950’s. The other end, quite detached from our housing area was another grand house – this one was an old bungalow (I gather had about 6 rooms) and had its own garden (where we often played almost every evening and when the area was demolished many years later, was found to be the home of a large python and a large cobra!). I have never ventured into this large house but used to go and stand at the main door to purchase numbers (ya, they were 4D bookies). And if we venture to the back portion of the house, the ground was full of shells and small snakes! Great place for small adventures! The only regret is we did not take enough photos of the old neighborhood whilst we had the chance but then again, a camera was a luxury thing back then (it can pay several months of rent). 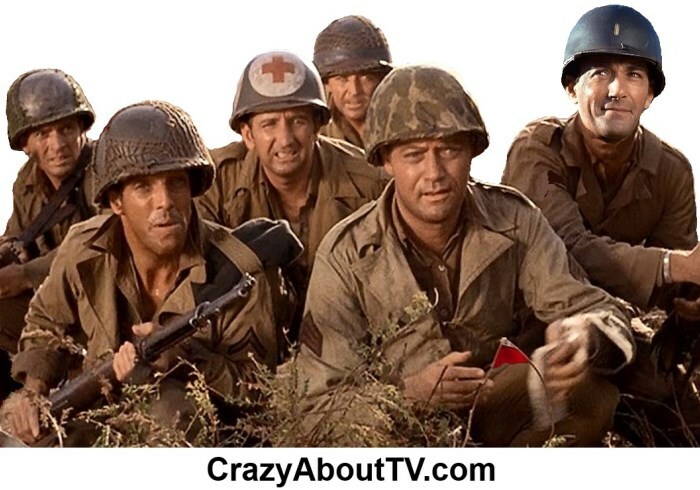 Lately I have been watching M*A*S*H (the series) – last seen on national TV in the 1980s (or earlier, I can’t recall) and I must say that I almost missed something rather brilliant. Then again, I was too young to understand the double meaning jokes in M*A*S*H. Now it makes sense to me. Still remember the other shows back in 1970s & 1980s? It was THE World War 2 TV series back then. Who can forget Vic Morrow as the no-nonsense Sergeant Chip Saunders? As far as my Dad was concern, Combat! was the baseline from which all other World War 2 movies are judged. Whenever we see some World War 2 movies on TV, my Dad will always say – Combat! was better. That is until he watched Saving Private Ryan and was blown away with the realism of the massacre on the beach. The story of Combat! was re-told again in another well made TV war series – Tour of Duty (instead of World War 2, it is Vietnam War and Terence Knox played the role of the no-nonsense Sergeant Clayton ‘Zeke’ Anderson). One of the main attractions of this Western show is the opening theme. We had plenty of Western movies in the early 1980s but this was the series to watch for. My favorite character was Manolito – the kind of uncle that every nephew should have – wild, loose cannon, good with the ladies but always there to back you up any time of the day. The show that got me attracted to police bikes and me wanting to be traffic policemen too. Interestingly the CHiPs was using Kawasaki Police bike which looked somewhat similar to our PDRM’s Honda police bikes. There was not much “traffic policising” in the series which was a big disappointment to us. We would be sitting in anticipation when Officer Francis Poncherello and Officer Jonathan Baker would fire up their bikes and speed along the highway to catch some bad guys or to attend some emergencies. The power of the Kawasakis was awesome! All can do but no violence please, hero and one who introduced the concept of “macgyverism”. It was interesting to see what one can do with a little application of knowledge of science, technology and common sense. Reading into MacGyver Handbook many years later, I realised not all quick fix by MacGyver was workable – it was only made for the fun of the series. Watching this series – I wished the long trailers in Malaysia were as beautiful as those in the US. Most of the long haul trucks in Malaysia were too bland. Most does not even have a separate cabin for the drivers. The best colored long haul truck that I had ever seen was a lonely Goodyear truck in Taiping. It was a standard Mercedes Benz truck (the usual ones that plies down Malaysian roads) but the paint work was brilliant. “The plane, the plane” was the call sign of the day in an island where one’s fantasies comes true (including one I recall, to be assassinated by a professional hit man). Interesting part of this series was the storyline – there is no limit to one’s fantasies, so content wise, it was not so boring. There is always something refreshing every week. I guess the short guy was the main attraction of the show although when we were still small kids, the short guy looked kind of creepy. Very similar to MacGyver but there is more of them here and this time, they are loaded with heavy weapons to the teeth. Memorable characters – scared to fly Mr T, the crazy Murdoch and the black themed van. Incidentally a newer version of the A-Team is soon coming to the big screens, starring Liam Neeson as the team leader, Hannibal. That should make the movie more interesting. I must admit that I have been feeling very sleepy at work for the past few weeks ever since I was back from overseas. At first, I thought that I could recover from the jet lag and difference in sleeping time but things have not improved for the better. There is not enough time in the day for a comfortable 8 hours sleep and as age catches up, it looks like I cannot afford to sleep for 5 hours like I used to do. When I was in my “college age”, I can afford to sleep for less than 5 hours everyday and can still be active, energetic and sharp thinking from morning to night. When I started to work to pay for my studies, things just got worse. 5 days of work, 2 days of classes and daily revision hours took most of my “wake hours”. Such careless deprivation of sleep however comes at a price and I know that I must, somehow, have to repay my sleep debts. Sunday was my off day and it is in a literal sense – it was time for me to shut down my body and go to sleep. But sleeping at home was a bad idea for my Mom expects us to wake up at the usual time and spent time cleaning up the house or helping out on the cooking or help to buy sundry items. There is no such thing as sleeping and waking up late at home. But because we have been so busy during the weekdays with lack of sleep, my Mom affords us to take afternoon nap but that’s it – she does expect us to wake up in time for our bath and dinner. But it was not enough for me to repay back my sleep debts. So, it was time to make my way to my Grandma’s house where I am treated like a King and no one bothers me with household work. After my college on Saturdays, instead of coming back home, I would make the long trip to Puduraya to catch the bus to my Grandma’s house. By the time I reach her house, it will be late in the evening, just the right time for me to take shower and an early dinner. Quick shower, quick dinner and a short watch of TV and once done, it was time for me to hit the soft comfortable bed and seconds after that; I am already in the la-la land. Actually not much of a difference with home but the difference comes the next day. The next day, I would open my eyes and see a dark bedroom. I wondered what is the time. Looking at the dark room, I would gather that it would probably be between 10 am to 11 am but then again I could be wrong. Still feeling sleepy, I would try to hear whether I could hear any sound on the outside. It will be pin drop silence, as if everyone else was still sleeping but I know they were not. The household rules that my Mom enforces at home – she actually learned it from her Mom. So, it is not a big surprise that my Grandma also enforce the same kind of strict rules at home. I of course was the only exception to that strict rule. When I was sleeping, the bedroom is made more comfortable, the bedroom is darkened, the fan switched on and my noisy cousins (who also lived in the house) are asked to be hush-hush so that no other noise wakes me up. Getting bored with sleeping (the only time I gets bored with sleeping is when I am at Grandma’s house), I slowly wake and force myself from the bed. I open the door, still feeling drowsy (to the point I sometimes wondered where I am) and walk to the living room. I look at the clock on the wall and realised that the time is about 3 pm. Wow, I have been sleeping for more than 20 hours! I gathered that it should have been more than enough to repay the outstanding sleep debt (my record is 24 hours – weeks before the exams). As I go off to take my shower (and to brush my teeth), I realised that breakfast or rather lunch waiting for me. And after lunch, I would be lazing around, watching TV or join my cousins in their activities (which I must say worth joining). By 5 pm in the evening, it was time to go back home – so it was another long and tiring journey before work the next day. But at least, I still arrive at home still feeling refreshed and no sign of any sleepiness. Monday, it was back to routine and losing sleep over the weekdays. That is until Sunday when it was time to go back to my Grandma’s house for a good night sleep.